Babcock, the UK’s leading engineering support services company, has been selected as preferred bidder for all four elements of a Ministry of Defence programme, potentially worth in the region of £360m over seven years, to become Marine Systems Support Partner (MSSP) for the Royal Navy’s new Queen Elizabeth Class (QEC) Aircraft Carriers and Type 45 Destroyers. Subject to contract, Babcock, with the support of our key support partners, will become the Systems Technical Authority for the platform and propulsion systems on both classes of vessel. As Systems Technical Authority, Babcock will manage the technical configuration of those systems, manage obsolescence issues and work with the equipment suppliers to develop and manage system upgrades. MSSP includes all power and propulsion systems including gas turbines, diesel engines, electrical distribution and platform management systems as well as a variety of on-board systems, including air conditioning, filtration, waste management, valves and pumps, fire-fighting equipment, highly mechanised equipment, lifts, cranes and refuel-at-sea capabilities. As part of MSSP, Babcock will also supply spares and in-service support to mitigate the risks to maritime equipment availability arising from routine maintenance and unforeseen in-service failures. 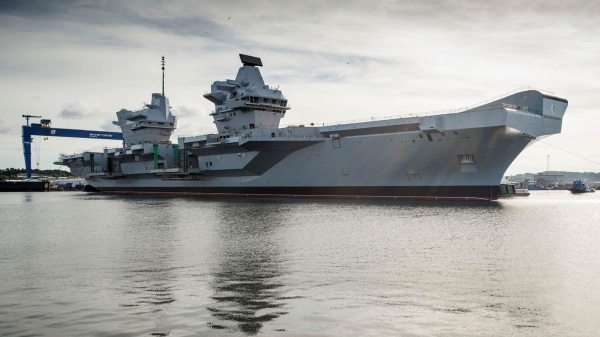 Drawing on our strong existing relationship with the Royal Navy and our role in the Aircraft Carrier Alliance, Babcock is perfectly placed to deliver a safe, cost effective and flexible solution that puts the maintainer at the heart of in-service support and equipment provision. Babcock’s successful down-selection for all four elements of MSSP comes shortly after the news that the company has secured a seven year contract from the Ministry of Defence, valued at up to £70m, for all six Maritime Equipment Consumables (MEC) packages. Babcock’s position on MSSP and the contract for MEC have been made possible by our significant investment in the creation of a dedicated Equipment Management Operations Centre (EMOC) at the company’s Marine facilities in Bristol. EMOC enables Babcock to deliver an impressive combination of suitably qualified experts, tailored processes and refined software solutions which improve material planning and enable 80% of regular equipment orders to be completed using an automated system. The addition of the Systems Technical Authority for MSSP will further enhance the EMOC’s capabilities and will create further opportunities in the UK and internationally. Babcock Chief Executive Archie Bethel said: “Our selection as the MoD and Royal Navy’s partner for MSSP and MEC represents a real vote of confidence in our capabilities and performance as the Royal Navy’s key support partner. This has been a highly successful year for our EMOC team and we look forward to supporting the iconic Queen Elizabeth Class aircraft carriers as they are delivered into service”.